Here’s a tag-you’re-it kind of award that’s a lot of fun. 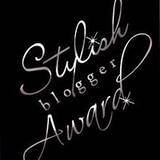 Bloggers nominate other bloggers, and then anyone who receives the honor has to write a list of seven (eight? ten? it’s all over the map) things about themself that they haven’t disclosed before. 1) Back in the old days, my grandfather was the accountant for, among a number of other local businesses, three of the brothels in the small, western town where my mother grew up. One day while he was working on the books at one of these establishments, my grandmother realized she needed him to run an errand for her. So she called over to the house and, when a woman answered the phone, asked if Gus was there. The woman said No without missing a beat. My grandmother got flustered and replied, But…Gus is my husband. He told me he’d be there. After which the woman on the other end of the line repeated Nope. Sorry. No Gus here. It was only then my grandmother realized her mistake and started laughing. Oh no, she informed the woman, Gus isn’t a customer, he’s your accountant. He’s working on the books today and I need him to pick up a loaf of bread on the way home. The other woman relaxed and started laughing, too, after which she told my grandmother she’d be happy to deliver the message. 2) I once went barefoot for four years and could put out cigarettes with the soles of my feet. 3) I gave birth to both my kids at home. 4) My mother went to an ashram in India to study with a saint when I was twelve. Afterwards, she was rumored to be enlightened. My father was career military and went into special ops after he retired. He was rumored to be part of a hit squad. 5) I’ve been to all fifty U.S. states, Canada, and deep into Mexico. I love this continent and it’s people with all my heart. 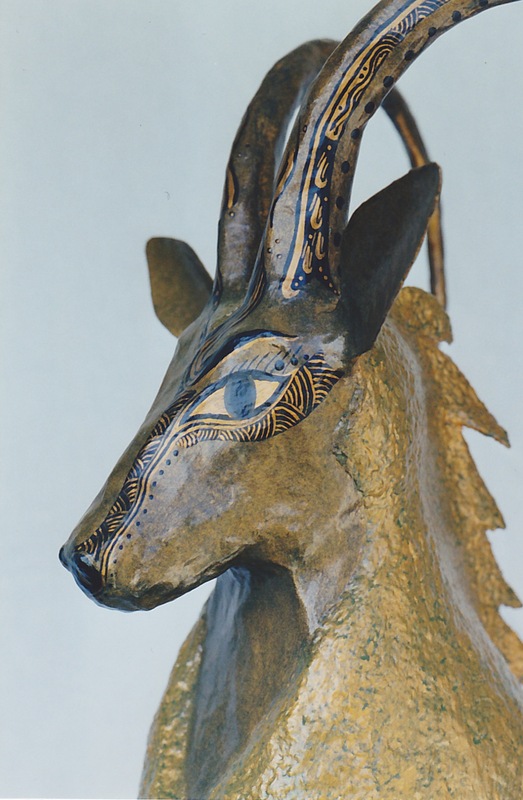 6) I won awards for my sculpting in papier mache and displayed in galleries. Never sold much though. 8) I adore the hubster. 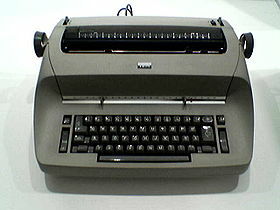 9) I used to type faster than the wind and was always in demand as a secretary. 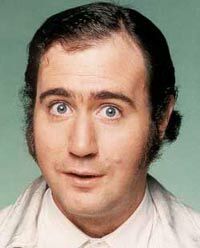 10) Andy Kaufman once did a private comedy show for me, but it was out of context and I didn’t really get it. It wasn’t until years later, after Man On The Moon, that I finally realized just how funny he was. I still think he had the kindest eyes I’ve ever seen. And now, passing the baton, I’d like to nominate Janet over at her cracking blog My Brother Andrew, where she’s raising money for research into Motor Neuron Disease (MND), and Linda at What Comes Next? who fearlessly and fluently tackles whatever topic comes her way. Your turn girls. Good luck! No!! It wasn’t THAT kind of private! Back in the mid-70’s, I worked near a venue where he was scheduled to perform, but at the time I didn’t know who he was. So when he started coming into the snack shop where I worked a few days beforehand, doing his little foreign man routine, I thought it was for real and bent over backwards to help the guy. I took him under my wing and even started protecting him from my fellow employee who smelled something fishy going on. Andy told me he’d never set anyone up as well as the way he did me. (This was in his early days. He topped those efforts by a long shot later on.) But when he finally started doing the shows I couldn’t attend because I was working. So he came back one night, waited for me to get off work, then took me over to the venue and did the whole show again just for me. It was really sweet of him but it went completely over my head. The movie about his life came out a couple decades later and that’s when I finally got it, how funny it was when he set people (including me) up. you have outdone EVERYONE with those answers!!! Oh dear. This is one of THOSE kind of awards…the kind that requires an articulated response rather than a quick curtsey and a smile. I’ve gotta put the ol’ thinking hat on. Oh boy. This is one of THOSE kind of awards. It requires an articulate response rather than a quick smile and a curtsey and a dash into the dark of the night. Gotta go put on my thinking cap.